The present monograph is the result of a long and painstaking research. Indian classical literature has suffered much owing to has loss of the Brhatkatha of Gunadhya which in many ways invites comparison with the works of Valmiki and Vyasa. Owing to the lapse of nearly two millenium and Paisachi language, in which the Brhatkatha is written being out of use for nearly 900 years, the life and work of Gunadhya have not been as familiar to the scholars as they deserved to be. ON the contrary, they have got encrusted by the accumulating dust of obscurity and growing plethora of legend. It required an Orientalist of insight, erudition and devotion to undertake this difficult but significant task of restoring an author of great and enduring worth. 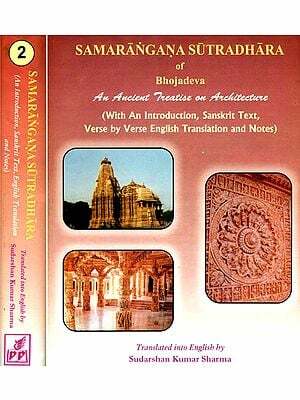 It is indeed a significant addition to our store of available Indian Classical literature and as such should be welcomed to Orientalists and scholars world over. Dr. S.N. Prasad was born in September, 1947. He took his Master’s Degree in Ancient Indian History, Culture and Archaeology and Degree of Doctor of Philosophy from the University of Allahabad. Dr. Prasad has written several books on Indology. Among his books mention many be made of “Kalyana Malla’s Ananga Ranga – An Indian Exotic” (Foreword written by Guiseppe Tucci, the eminent Indologist and recipient of Jawahar Lal Nehru Award for International Understanding, 1976), Studies in Gupta Painting, Kathasaritsagara and Indian Culture, some Aspects of Social Life in Northern India in 11th Century A.D. He has contributed more than fifty original research papers on fairly wide range of subjects, including ancient Indian literature, Culture, Art, Archaeology and Society in leading journals of Indian and abroad. Dr. Prasad is presently engaged in teaching and research in Birla Institute of Technology and Science, Pilani, Rajasthan. The present work has been my dream for about a decade. 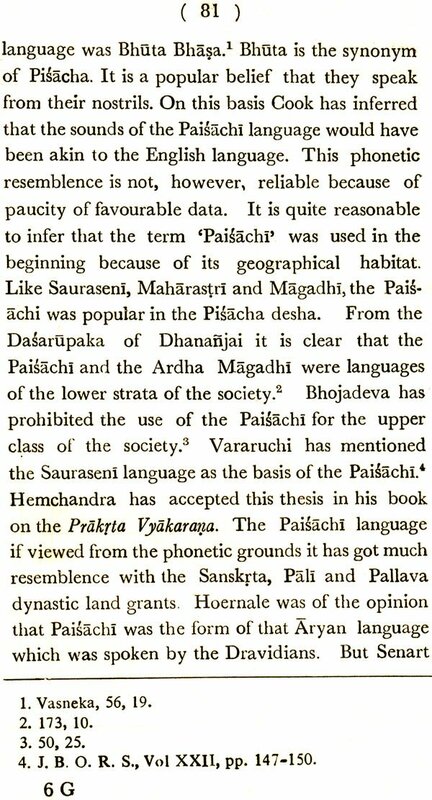 When I was working on the cultural stud y of Somadeva's Kathiisaritsiigara which earned me the D. Phil degree of the University of Allahabad I started collecting data on the celebrated poet Gunadhya whose significance and genius in many ways may be considered equal to that of Valmiki and Vyasa. But unfortunately, the Paisachi language, which our poet had chosen for his Brhatkatha (The Great Tale}, had been no longer in vogue for the last nine hundred years. We know -his life and 'work now only as a legend. The loss of the Brhatkatha has made it difficult for literary historians to place him in the classical literary tradition. Not much can be said about him with sufficient degree of certainty. There exists a lacuna, the need for filling it has long been felt by scholars. Here, for the first time, an attempt has been made to place before the scholars an integrated and coherent picture of this famous but little known poet of the Epic Triad, and to reconstruct the possible theme of the original Bthatkatha from the several versions available. I am greateful to Dr. Ludwik Sternbach ( Paris) for his valuable suggestions and encouragement and to Dr. A. L. Basham, Professor and Head of the Department of South East Asian History, National University Canberra, Australia, who was first to encourage me and who advised me to consult Dr. Ludwik Sternbach. I am also beholden to Prof. J. W. de. Jong, Professor, College de Paris, who had invited me to read my paper on "The Time of the Brhatkatha," I cannot adequately express my sense of obligation to my Guruvara Dr. U. N. Roy of Allahabad University, to whom I owe my love for classical Indian literature and its study. I am also obliged to Dr. R. C. Sharma, Dean, Faculty of Humanities and Social Sciences, Birla Institute of Technology and Science, Pilani, who constantly inspired and encouraged me while the work was in progress. I take this opportunity to express my gratitude towords Kavi-vidvad-bandhava Dr. Ram Kumar Rai (Banaras Hindu University) for his love and affection and to the Proprietor of the prestigious Chaukhambha Orientalia, Varanasi, for gladly offering to undertake the publication of the book. Above all, I record my deep gratitude to my parents, Sri Chandrika Prasad ji and Srimati Chandravati and to Mrs. Kiran Prasad, M. A., the Sahadharmini but for whose love and affection this work could never have been completed. My thanks are specially due to Professor S. K. Porwal, for going through the manuscript before sending it to the press, to Mr. U. K. Bhargava for seeing through the press work, and to Mrs. S. Santani for preparing the index. In the end I, must acknowledge my debt to Mr. C. H. Tawney and N. M. Penzer whose "The Ocean of Story" in Ten Vols. have been profusely used in his monograph, as no scholar in this field can do without their monumental work.